Asking a writer/law student how to use less paper is like asking a great white shark how to adhere to a strict vegetarian diet, but I’ll do my best. There are a few basic uses of paper and a few different techniques to reduce those uses (don’t worry I won’t be asking you to switch to single-ply toilet paper or anything). I love writing paper. There’s nothing like the convenience of grabbing a notebook or a piece of loose leaf paper and scribbling down my latest brilliant (or not-so-brilliant) thought. Unfortunately, I’m thinking my way to a pulverized tree. According to the website Conservatree, each tree can yield just over 8,000 sheets of paper. That’s 16 reams of paper or 80-100 sheet notebooks. Maybe that sounds like a lot of paper to you, but to me, that sounds like a productive week. Luckily for me, and the trees, many of the places I write for, both academically and professionally, will allow me to fileshare and submit my work digitally. Even if you’re not much of a typist or if you need to use sketches and figures in your writing, a good tablet computer with a stylus will let you write freehand on the touch screen itself, saving paper and giving you the benefit of spell check (woohoo!) while you are working. For those occasions where you absolutely must use paper, paying a few extra cents and getting the stuff that’s recycled can help with your eco-guilt. Okay, chances are you don’t get 8,000 billing statements in a given year, but if you put together yours with your neighbors, coworkers and friends, we’re probably getting into tree-saving territory. Now that just about every company offers paperless billing, you have the option to save those trees, as long as you’re responsible enough to keep an eye on your bank account without those bills to remind you when money is being deducted. There are other benefits to paperless billing, too. Sometimes companies will offer you an incentive like a gift card or sweepstakes entry for going paperless. You also get to save postage and checks, and save yourself the problems you would incur if a statement were to be lost in the mail. Also, as the Little Green Blog points out, you’ll have a much slimmer file cabinet. Okay, as I said, I don’t expect you to go without toilet paper; heck I’m not even going to ask you to go to cloth diapers (although you would save a lot of landfill space). Let’s take a look at paper towels, though. Do you really need to use a paper towel for every spill? Wouldn’t a nice reusable washcloth be just as good, or better? Again, you’ll save a few bucks, too, as all those rolls of paper towels start to add up in cost. If you must use paper towels, there are recycled options available. 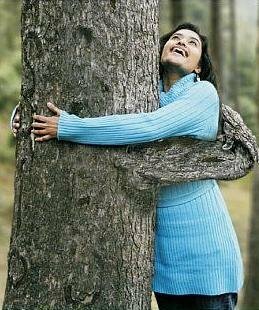 Saving trees doesn’t have to be painful, and it can really make you feel good about yourself and what you’re doing for the environment. Using options besides paper, or using recycled paper, can make a big impact on your environmental footprint. Best of all, cutting down on paper use can sometimes help you to save the most important paper of all–the green kind with pictures of presidents on it. Regarding using a tablet computer and stylus instead of notebooks… wonder if anyone has done a thorough comparative analysis of environmental impact there. After all, trees can be replanted, but what about all the rare metals mined for the computer, and for its inevitable replacement in a few years, and what about the constant need for electricity? I’m not sure it’s necessarily better. Word. What gets me is the use of paper towels for hand-drying. Ridiculous.